iMindMap Ultimate versie 11. De Meest complete Mind Map Software! The fastest way to capture ideas, Fast Capture View quickly crystallises fleeting moments of inspiration. A single click creates an interactive bubble for you to type ideas into, quickly creating a web of thoughts. iMindMap is the only Mind Mapping software featuring a free-form Brainstorm View, to help you sort ideas before developing them in a Mind Map. Use sticky notes on an infinite canvas to represent even the most abstract of thoughts digitally. Endorsed by the inventor of Mind Mapping, Tony Buzan, you can create stunning Mind Maps and flowcharts. Channel your creative side and include icons, images and even link to other files, webpages and more. Design and deliver stunning presentations with iMindMap’s Presentation View. Utilise a full range of features to ensure your presentation looks professional, with 3D View, templates, slide notes, slick transitions and more. Take advantage of the range of tools geared to maximise your delivery. 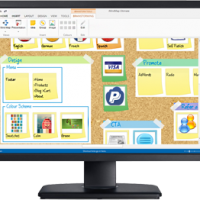 Working with the most-used desktop programmes, iMindMap Ultimate can effortlessly export your maps into clean Word documents, spreadsheets, PowerPoint, webpages, images and more. Integrating with Google Drive, Evernote and Dropbox, there are now even more ways for your work to be seen and shared. Working in sync in Mind Map and Brainstorm views, use the Outline Panel to locate and sort your work. You can drag and drop ideas from the canvas into the panel before editing them with ease. iMindMap is one of the most useful organisational tools that I use on a daily basis. An invaluable tool in helping me succeed at work. 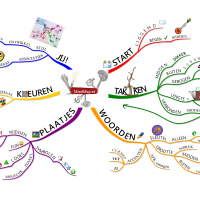 ONLINE TRAINING: Leer alles van iMindMap Home & Student & Ultimate-basis!